Capture and analyze from linear and rotary encoders in different configurations. This includes barbells, inclinated planes, gym equipment and inertial machines (disc or conical). Suitable for any exercise, but connect to inertial machines is not recommended. Connect to any rotating or sliding machine. Easy to fix to any place. 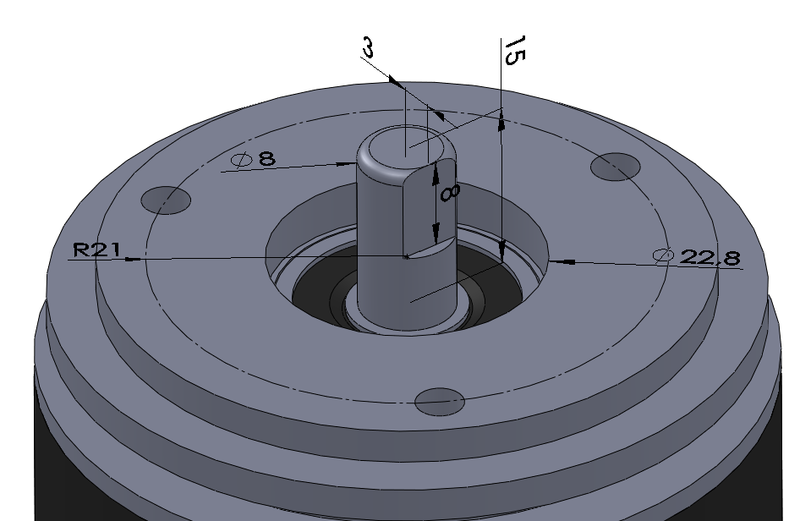 Sizes of rotary friction encoder. Sizes of rotary axis encoder. More videos at Chronojump encoder on Youtube. See photos on encoder use. 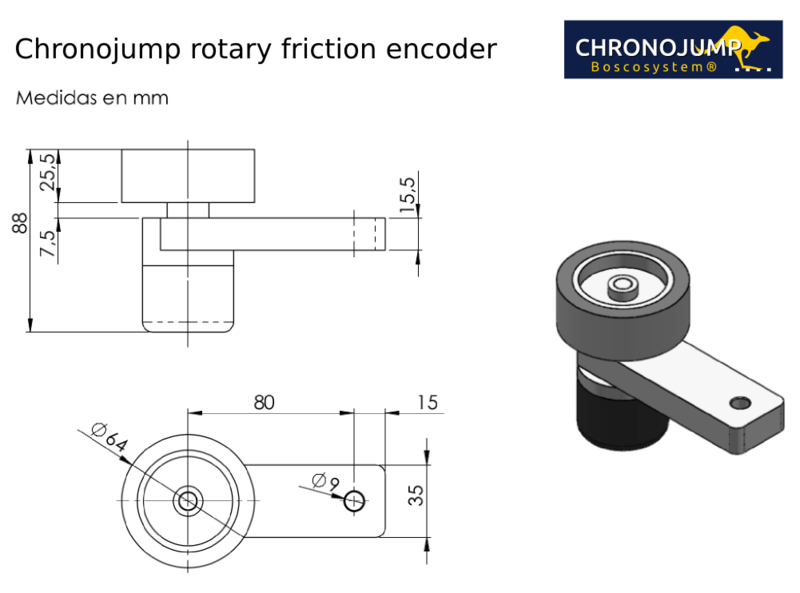 Read Chronojump manual (Encoder section). Please, always follow the linear encoder safety instructions.